Our resident reviewer David certainly knows a good thing when he hears it. 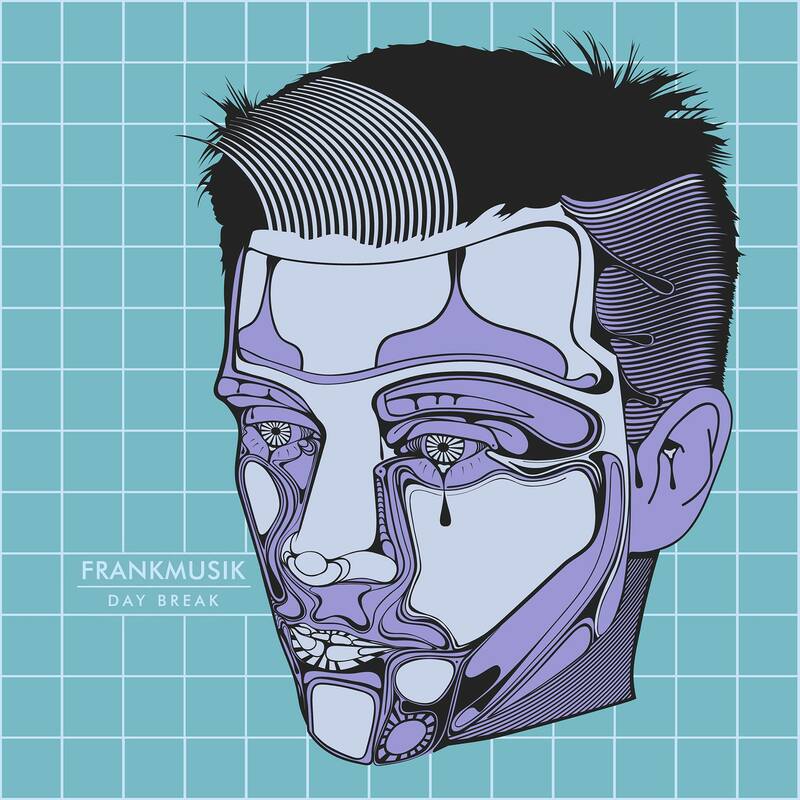 And it would appear the next ‘good thing’ to grace our pages is the new Frankmusik EP, ‘Day Break’. I have a lot of love for Frankmusik. It might have been because back when he launched in 2009, he had a certain Aussie pop princess appear in his video for ‘Confusion Girl’ (it was Holly Valance if you were wondering). But my love had more to do with the quality of his music; his debut album is still a long standing favourite and makes regular rotations in my household. Fast-forward to 2016 and Frankmusik is back with a synthwave-inspired EP full of nods to the past and links to the future. An independent artist for several years now (his last major label release was back in 2011) the quality of his work has continued to shine through each release. I have always loved his visuals, videos and artwork as it’s a true representation of who he is. ‘Day Break’ is no different. Almost a mini-album (it’s eight tracks in length), it’s a great listen from start to finish and showcases quality writing, arranging and producing. Frankmusik has collaborated with some other independent artists on this EP, who add some interesting dynamics to the tracks they feature on. My favourite tracks land in the back half of the EP and I think I love them so much because they remind me a lot of his debut album. ‘Vacation’ is a funky summer drive kind of song and really makes you want to take a vacation. ‘Anything You Want’ is broody yet bright, layered but simple. It’s a song I could listen to all night. Title track and EP closer ‘Day Break’ is both euphoric and funky and is a really great closing track. It also showcases his beautiful falsetto, which in my opinion is one of the most enjoyable to listen to in pop music today. The first two minutes of this song is pure pop perfection. Frankmusik gets a lot of love in the US and UK but I’m longing for him to visit our shores one of these days. Maybe he’ll take notice if us Aussie fans buy this EP by the bucketload (and convert a few more pop aficionados into fans of his). Either way, I am excited by this release and can’t wait to see what he does next. For now though, I’m going to go enjoy this EP a few more times. MUST LISTEN : Vacation, Anything You Want, Day Break.